How to Get Over Your Fear of Going Live on Instagram - Brand Strategy Co.Brand Strategy Co.
Instagram lives are great for small business owners for a number of reasons. First, they allow you to showcase your personality to your audience. Second, the chat feature makes it easy to grow authentic connections. Which in turn, earns trust among your audience, and makes you a relatable, real human behind the business. 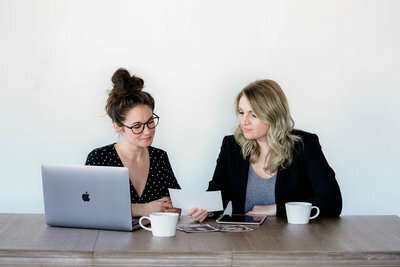 This is important because people buy from people, so if you aren’t being human online, it will be hard for your target market to connect with you. Since my first Instagram live (June 20 of this year! 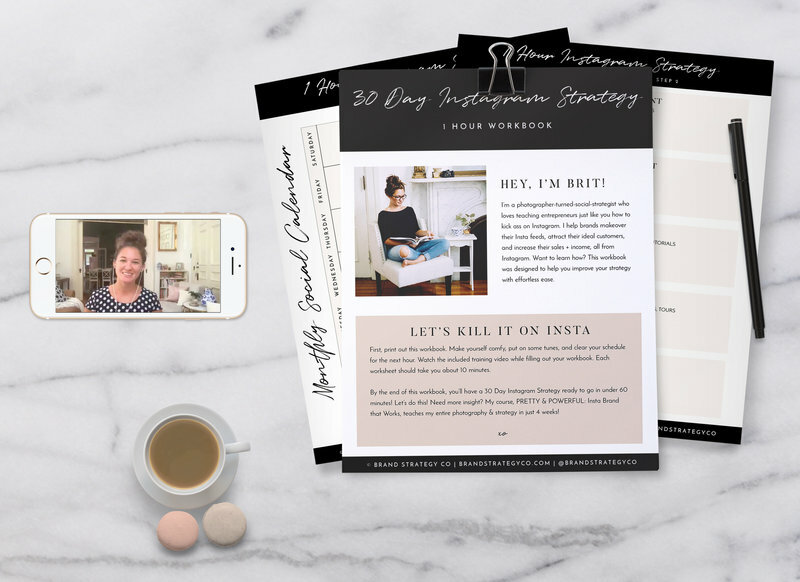 ), I’ve tripled my audience, grown my inquiries, launched a successful e-course, and kept an updated and consistent blog presence by using the notes from my lives to create blog posts (exhibit A ^). If you want more Instagram strategy, check out my free training: 30 Day Insta Strategy in 1 Hour below. When I ask my strategy clients and students what has been keeping them from trying out Instagram lives, it’s never “not enough time” or “not sure what to post”. 99% of the time, it’s fear. Fear that they’ll stutter, or lose their train of thought, or not get any live viewers. Because I’ve dealt with these same exact fears (plus panic attacks before live videos) and found a lot of success on Instagram lives, I put together some simple tips & thoughts on how to get over your fear of going live. There is no such thing as too small of an audience. I guarantee the Instagrammers that you idolize started when their audiences were nearly non-existent. Let me put it this way – Would you rather go live for the first time in front of 10 people or 1,000 people? Start where you’re at. Share what you know. This will attract the audience and tribe that you wish to grow. Unfortunately, you most likely will. You’ll mispronounce something, forget a word, or lose your train of thought. But guess what? You’ll laugh it off and move on, and your audience will LOVE you for it. They would much rather see you be human that scripted and perfect. Think about it. Who do you connect with and relate with on Instagram? Do you love the perfect Instagrammers, or the people that are real and authentic? We live in a world of short attention spans, and the idea of public speaking ONLINE can seem daunting. But there a few things you can do to help you prepare. I always write a simple outline about what I want to talk about before a live. Then, I’ll run through it before I go live, and make notes about things I don’t want to forget to mention. Then I keep my notes really close to my phone, and reference them to keep myself on track. I’d never be able to host an organize live without some kind of direction. If you find yourself getting off track, finish your thought and circle back to your next topic. While this hasn’t happened to me – yet – I know it’s a common issue that people deal with. I decided that if a troll comes on and harasses me, I will simple ignore them and move on with my live. No reason to give them the attention they are looking for. If you need to go a step further and think about all of the things a troll could possibly say on a live, write them down. Then crumble up the paper and press LIVE! Don’t let the what if’s stop you. That will probably happen, especially for your first one. Your audience doesn’t know what to expect, so they might not prioritize it or hop on. This is great! You get to do your “live” with no live audience, and then hit “share replay” so your audience can with it at their leisure, and know to show up live next time because you shared such great content. So whadya say? Ready to give it a shot? Go for it! 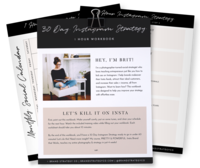 And if you want more Instagram strategy insight, sign up for my free training below.